Even with 150-plus photos to check out, we still can't get enough of this sweet ride. 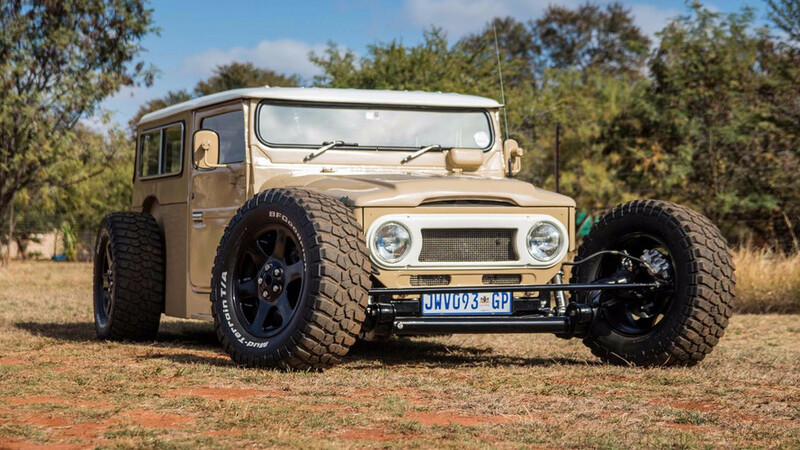 We’re not going to spend too much time talking here, because let’s face it – you want to see all 158 photos of this sickeningly awesome Toyota FJ40 Land Cruiser reimagined as a slammed-to the-ground street rod. The story and photos come to us from South Africa by chap named Chris Wall, who aside from being a writer and mental gearhead is also an ace with the camera, as you can plainly see. Be sure to check him out on Facebook. 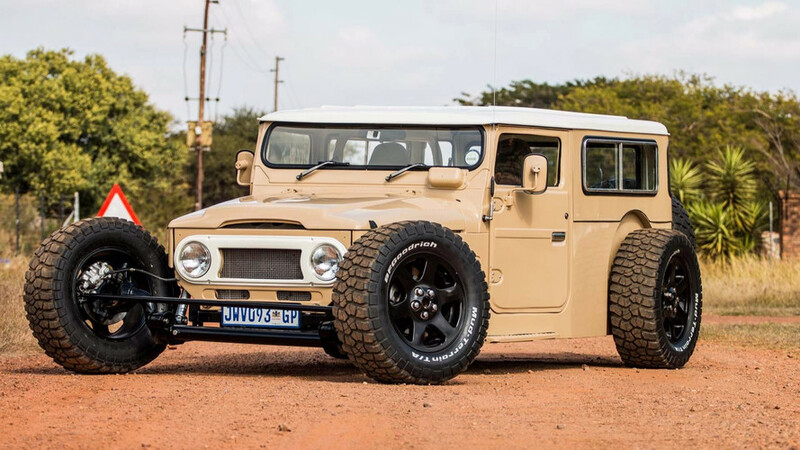 What you’re looking at here is a 1976 Toyota Land Cruiser FJ40, built by the mad minds at Allers Rods & Customs in a shop just north of Johannesburg. The build took 1,200 hours, and as you can see, no detail was spared. 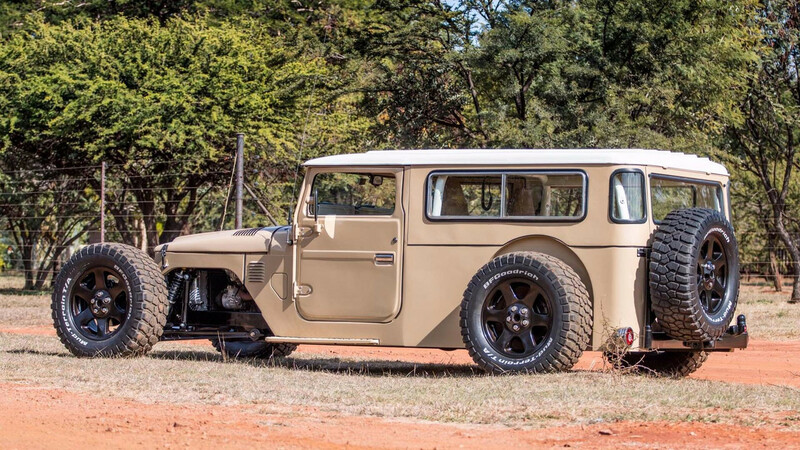 Speaking to Wall, the builders said they wanted to represent the hot rod scene in South Africa by creating something that was a proper home-grown rod. Old Land Cruisers are certainly part of the culture in that neck of the woods, so no expense was spared in bringing this truly unique Toyota to life. And it is very unique. 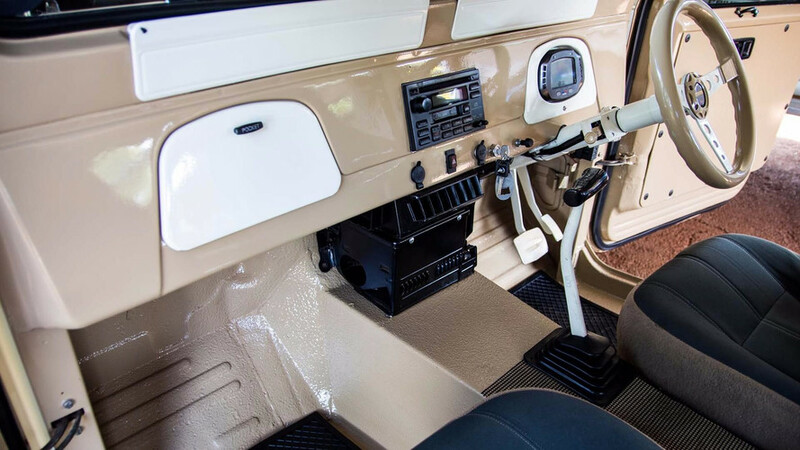 The front suspension was completely custom fabricated, with the wheels and rear differential coming from a Land Rover Discovery. 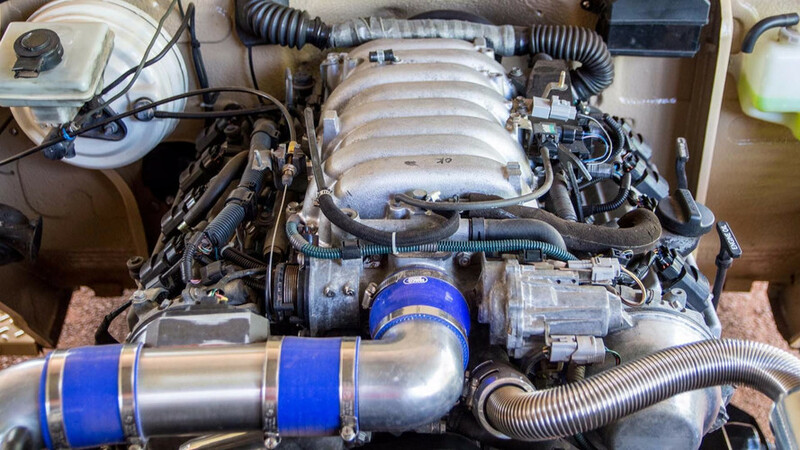 The front brakes are four-pot calipers with single-pot discs in the back, and to pay homage to the FJ40’s Toyota roots, power comes from a Lexus 1UZ V8 making 300 horsepower that’s rooted to the back through the matching Lexus five-speed automatic. 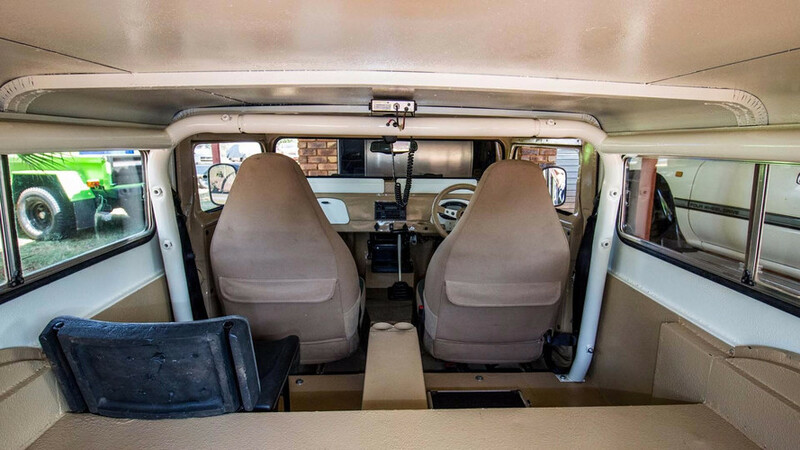 Other bits include a full cage inside, with seats from a Jeep Wrangler and headlights from a first-generation Volkswagen Golf, of all things. And of course there are all the custom body tweaks that are simply too numerous to mention. 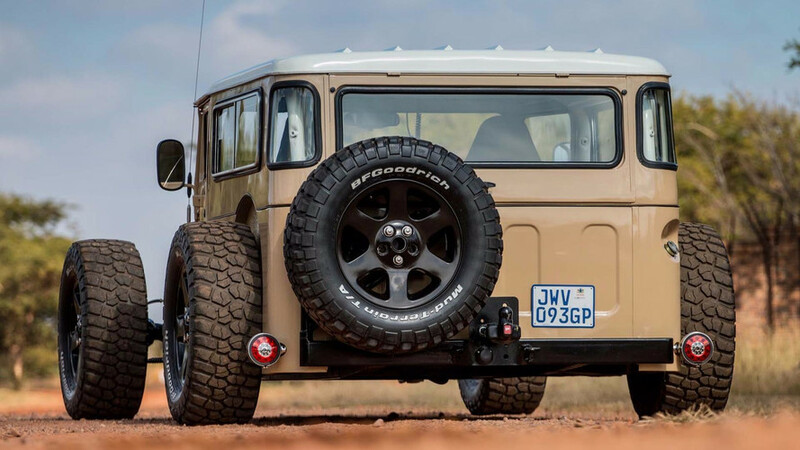 While it’s safe to say this Land Cruiser doesn’t have the off-road prowess it once had, for a street rod it actually shows a surprising amount of ground clearance. The off-road tires obviously help with that, while also serving to help set this project apart from any other street rod on – or off – the road. 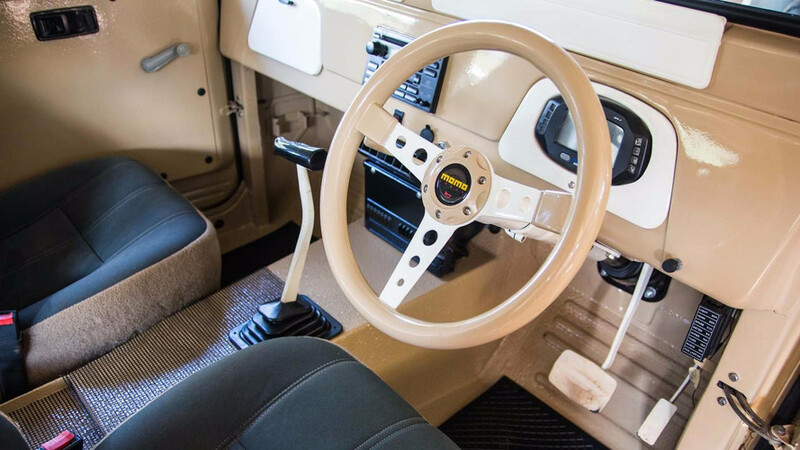 Perhaps the best part of all, however, is that the FJ40 is finished in a period-correct shade of tan. Now for the really good part. Set aside a half hour and marvel in the details of this amazing build through the gallery below.